At a swanky Manhattan dinner party the well-heeled guests speak ill of Adolf Hitler in front of a German maid with Nazi sympathies. The secrets she spills soon have all of New York society running for cover--and two of Paramount’s biggest stars, Jack Benny and George Burns, facing smuggling charges. Renee Patrick is the pseudonym for the dynamic writing husband and wife team Rosemarie and Vince Keenan. Last year's release of Design for Dying (Lillian Frost and Edith Head #1) was met with rave reviews and has been nominated for several awards. Design for Dying is a cozy, behind-the-scenes mystery surrounding Hollywood's Golden Age. You have atmosphere, glitz and glamour, and murder, of course. Not to mention two intelligent women who steal the show. Dangerous to Know is the second book starring this amateur crime-fighting duo. After the success they had in Design for Dying, Edith and Lillian have built a bit of a reputation for themselves. So much so, when Marlene Dietrich comes knocking insisting they investigate the disappearance of a composer, they agree. The mystery launches them head-first into a plethora of espionage, gangsters, cover-ups, FBI investigations, starlets, and secrets. Patrick uses "a real-life incident, a historical footnote long forgotten, in which the war clouds gathering over Europe cast a shadow on Hollywood." I love old movies. I love how glamorous everything seemed in 1930's Hollywood. I loved the clothes, the cars, the panache lifestyle. Renee Patrick takes you back to when glamour rules, gossip is king, and everybody has a secret. 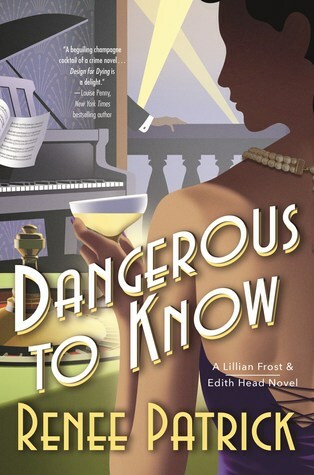 Dangerous to Know is a noir with two classy ladies who are whip smart and savvy. It's a nod at the classics and it will keep you guessing until the very end. Lillian Frost and Edith Head are an unstoppable force to be reckoned with and I can't wait for their next adventure. 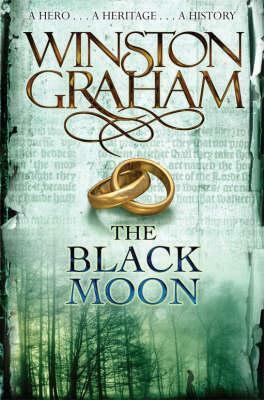 *I received this book from the publisher in exchange for a review. My opinions are my own. June's NBOTB form is live!